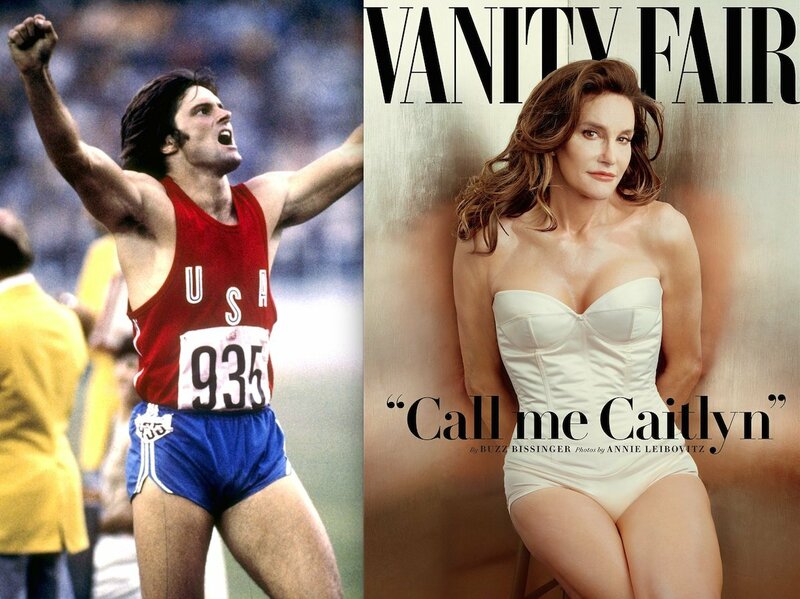 With social expert Snoop Dogg branding Caitlyn Jenner a “science experiment” and some Catholic priest stating that she’s just a “man dressed up as a whore,” perhaps it’s time we all stepped back to consider what science and religion actually teach us about Jenner’s gender move from male to female. First, let’s start with science. What science teaches about the nature of gender and gender roles is quite simple. There is no status quo. Nature is filled with organisms whose sexual gender, or the change thereof, is not an inhibitor in life cycles or reproduction. Some species of frogs, as described in this scientific study, don’t play by the so-called “normal” rules of sexual genetics. Nor do millions of other organisms on this earth. It’s a simple truth that the Xs and Os of genetics are not meant to lie dormant, and never do. Nature plays with them every millisecond. Humans are no exception to these dynamics. In fact we are messing with our own genetics and our environment all the time with the drugs we take, the food we eat and the ecosystems we manipulate to our own purposes. Even the Catholic Church with its so-called rhythm method of birth control is trying to cheat nature in its own way. Transgender people, those having generically-driven sexual organs and characteristics of both genders, have long existed in human populations. Science has no real trouble sourcing these genetic “experiments” if you want to call them that. They are only “experiments” in the sense that nature works through these processes to produce every living thing on earth. None of us is genetically perfect, of course. Plus, if you’re ranking human beings at the top of the genetic world because of our intelligence, it is wise to recall that we share more than 95% of our DNA with our nearest living ape relatives. So the scientific odds of us being truly superior organic creatures is quite low. Probably less than 5%. We’re simply not as special as we claim to be. In fact we’re just as susceptible to the core biological threats of disease, parasites, infections, inflammation and other travails as any other creature on earth. We’re also susceptible to emotional dependencies, obsessions and mental illness at very high rates, much higher than so-called “lower animals.” Add in human addictions to substances and behaviors and the human race turns out to be one of the world’s most frail and flawed population of living things. If we’re truly made in God’s image, God is pretty messed up. But the worst human foible of all is fear. Our fears drive a great many of our behaviors. It turns us into warlike creatures. Fear undermines our confidence and self-esteem. It makes us shun love at both the personal and God level. We learn to look at life through the lens of fear because it makes us feel protected from ills that we do not understand. Some people reject even trying to overcome their fears. It is much easier, or so it seems, to simply avoid knowledge that seems to threaten a person’s current understanding. That’s how sayings like “the Bible says it, and I believe” evolve into personal mantras. That’s also how ignorant prejudices by race, religion or nationality turn into fixed worldviews. There is considerable value to be had when you control the mindset and beliefs of a great many people. You can ask for their money. You can ask for their vote. You can even tell them how to use their money and tell them how to vote. Just make them afraid they will have to change if they don’t listen to you and the job is done. They won’t change, and you own the authority that controls the culture in which they operate. It’s best if this sort of religious control is kept to a very basic approach. If you have to renew the message or change its focus very often, believers get distracted and wander off. That’s how religious fundamentalism works. It reduces faith to a simple doctrine that people can embrace without too much examination or thought. Nuance and progress have little stake in this process of thought control. If fundamental religion has to accommodate other faiths or other politics, it might find itself at risk of change due to bright new specks of truth that distract from the core message. The best way to avoid that pattern is to convince believers that the “other” is a bad thing. For millennia this has been the approach of major religions around the world. Christians are taught to think Muslims are bad, and vice versa. Hence the Crusades over ownership of the Holy Land. Catholics are taught to think Protestants are bad. Murder and mayhem follow. Religion can be aimed like a gun and used to persecute and kill anyone it chooses. That’s how so-called Christians in the KKK targeted Southern Blacks, branding them inferior beings worthy only of slavery and submission. Christianity still struggles with its targeting of gay and transgender people as well. Certain passages of the Bible are used as proof texts that homosexuality is a sin. Never mind that these texts are largely yanked out of context or misinterpreted to indict homosexuals. Never mind that the science behind genetics did not exist when the Bible was written, nor that society has learned plenty about other laws in the Bible that we now patently ignore. The world has progressed, but those still captured by the anachronisms rife in scientific and biblical illiteracy have not. That is why explaining something as complex as the Caitlyn Jenner story takes so much work and engenders so much stupid commentary. When you have major portions of society committed to communicating their fears of being exposed as ignorant, there is no room for intelligent dialogue on a matter such as Caitlyn Jenner. You can criticize her decision and question whether it serves well the needs of women or men around the world. But inside that shell is a living, breathing human being made of the same stuff as everyone else. And if you’re a person of faith, you know that Caitlyn Jenner has a soul. That soul is all that God or Christ or whoever you think needs to be concerned is concerned about. And I see a soul in search of meaning. And that’s all.